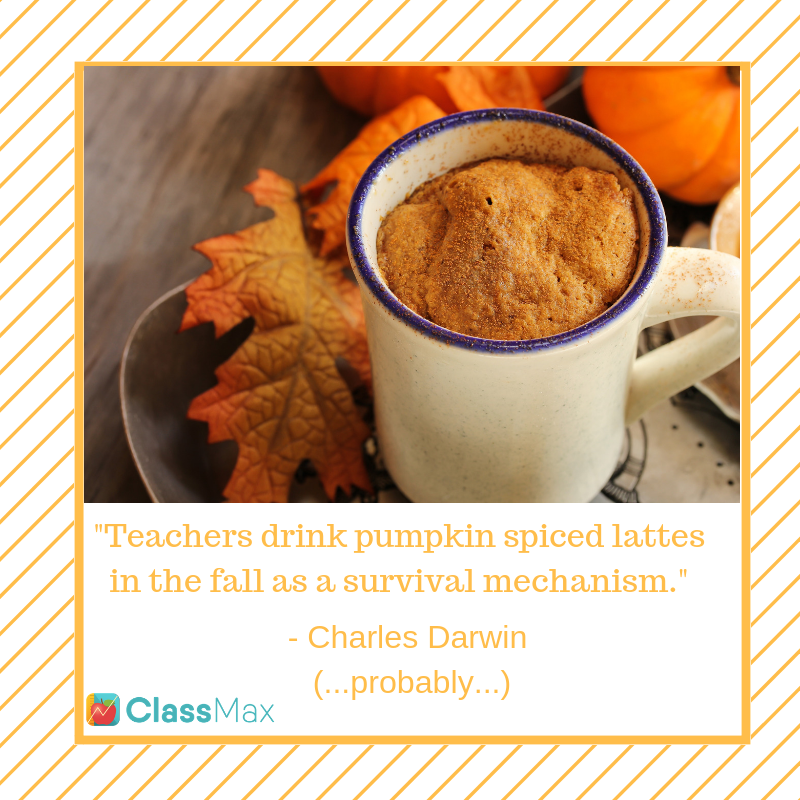 While the rest of the world celebrates the arrival of fall with flannel, scarves, and pumpkin-spiced everything, teachers know that the arrival of fall actually signifies a much bigger ending in their classrooms than just summer. October typically wraps up the first quarter in classroom cadences and with that comes a variety of processes and tasks that only a classroom teacher truly understands. Bulletin boards are changed with the weather, units of study are often brought to a close, and the dreaded report card hustle begins. There are parent phone calls wondering why their kid is failing even though they have done zero work all quarter and this is the first time you’ve had the parent respond to any type of contact. We are sending failure reports to admin and student concerns to guidance. We are re-arranging seating charts based on behavior and maybe even requesting scheduling changes for those students who just need a “fresh start” in a different classroom (bye Felicia…). Regroup your students. Most of us group our kids at the beginning of the school year based on standardized test scores from the previous school year. In a pinch, that’s a good grouping qualification, but hopefully by the end of October, you are starting to see even a small impact from your own instruction. Take some time at the end of the first quarter to re-evaluate your student groups. Perhaps now that you have more data (thanks to ClassMax, wink, wink…), you should be able to group in multiple ways – by performance on standards, by overall grades, by learning types, etc. Take a look at your data and begin forming meaningful groups for your second quarter of instruction. As your second quarter kicks off, save yourself some time to focus on instruction – shocking, I know – by ending the first quarter successfully. A little upfront work can make for a much smoother quarter and a much happier teacher. Pumpkin spiced lattes help, too. This entry was posted in Behavior Monitoring, Classroom Management, Groupings Feature, Innovative Uses, Progress Monitoring, Reports, Teacher Life. Bookmark the permalink.